They say exploring the world starts with the shoes, even when its rainy and wet outside. That is why we could not forget to add wellington boots to our collection for kids. We also ensured that our wellingtons are not only colourful, but also comfortable and healthy. In our store you will find high-class wellington boots for girls that perfectly protect and support child's feet and at the same time do not hinder their proper growth. We propose light and comfy wellington boots for kids in diverse versions and models. 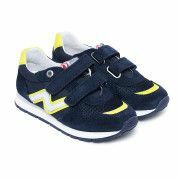 Each available in our store pair of shoes for the youngest has a perfect structure and special shaped insole supporting proper growth of small feet. Wellington boots available in our store combine fashion, style, quality and safety at their best.